In a previous article, we discussed the former offer from Blowout Cards for the Shohei Ohtani 2018 Bowman Chrome Superfractor AU, which was originally $60k, then $75k. 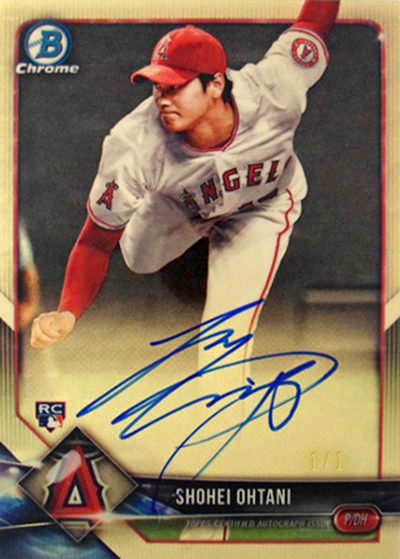 They've just raised it to $100k.1)BlowoutCards.com raises offer to $100,000 for Shohei Ohtani Superfractor autograph (BGS 9.5) from 2018 Bowman boxes. www.blowoutcards.com/blog The deadline has been extended to May 31st and they now require hand-delivery to the Blowout Cards offices. The only thing that remains the same is the requirement of a BGS 9.5+ grade, which still remains dubious. If you pulled the Shohei Ohtani 2018 Bowman Chrome Superfractor AU, what would you do with it? Share your thoughts in the comments area. The Shohei Ohtani 2018 Finest Superfractor AU Has Been Pulled. Here’s What it Looks Like.